In SEO, the phrase, ‘Content is King’ has long been held in high regard, but it is only really the last couple of years where anyone has seriously paid attention. For many years the experts in the field have been crying out for good quality content, but there have always been businesses who have known that some dodgy black hat SEO tactics could get them higher up the Google search results pages. Thankfully, those days are behind us, and if you now want a really successful website, you have to do things properly. This means creating fantastic content that is going to do the business for you. There is no more cutting corners, which means quality has to be high. 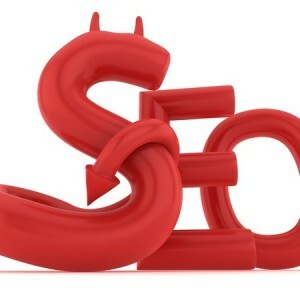 Most people are getting this, but it hasn’t stopped people making mistakes borne out of their old school SEO habits! Firstly, there’s nothing wrong with making sure you use suitable keywords in your content, and it should be part of every content writers to do list to include these in a piece of work, but let’s face it you really don’t want to overdo it! There may have been a time when stuffing the life out of your articles with keywords was the way to the top of the tree, but not anymore. These days, it is critical that your keywords occur naturally, so concentrate on writing content which is suitable for your keyword needs, and the keywords will come naturally! It’s not rocket science, but it’s amazing how many people still do this! We’ve always known how important it is to get your industry, your local area and your regional area together for SEO, but if you focus on this too much, you’re putting all of your eggs in one basket. So don’t just advertise what you are, explain in a blog what you do, and tell them more than they are asking. The same person who wants to find an electrician might also be trying to find out how to wire his new light system properly. Tell him how to do it and you are on your way to creating a relationship – when he really needs someone, guess who he will turn to? It’s so easy to think that you just need to crank out a few hundred words to satisfy the SEO gods, but Google is so sophisticated now that it will sniff out content for contents sake. All you have to do is to make sure that you are giving value at every turn. Is what you are writing useful to someone related to your niche? If the answer is yes, then you are on the right track. If you look back at your work and wonder what on earth it is good for, tear it up and start again. There are plenty of other bad habits which stem from too much thought about SEO, but these are enough to highlight for now! The golden rule is to try to create something that is of use. If you can do this, then people will find value in what you are offering, and long term, you are going to achieve so much more.